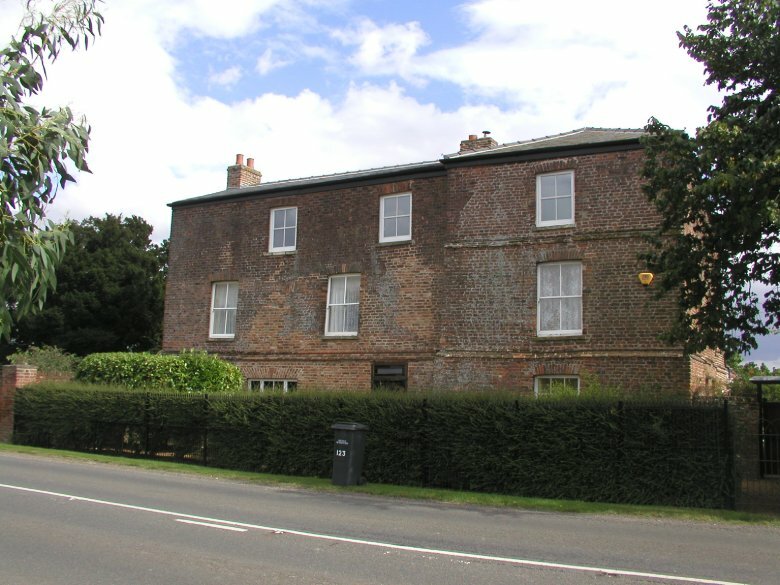 Orange House was at one time owned by Baron Fagel a Dutch refugee who settled in England and bought property in Terrington. Prince William of Orange, later King William I of the Netherlands, was a friend of the Baron and stayed with him at Orange House which Baron Fagel named after his illustrious guest. He sold the farm with 190 acres of land in 1819 when it was described in the Norfolk Chronicle as having numerous outbuildings, six cottages and an elegant Cottage Ornee (a villa on a small scale) particularly adapted for any gentleman desirous of becoming an agriculturist or extremely eligible as an investment. It was at one time the property of William Bentinck and later the Walker family, and was bought in 1892 by Robert Fordham who was miller. Baron Fagel built himself a windmill with five sails in 1813 behind Orange House. The fan was blown off in a great gale in March 1895 and in February 1908 the entire cap was blown off. The mill ceased working in 1910 and the tower was demolished in 1920. Mr Fordham who owned the property at that time moved his business to the other side of the road and carried on milling with an oil engine. In the village there is another Orange Farm situated at Orange Row.